Our October meeting is next Saturday, October 18, from 10AM-2PM at the LDS Church at 209 Mountain Ave, Caldwell, NJ. It’s an Open Sew meeting, so bring your machines, extension cords and WIPs. We’ll also have charity quilt tops and batting for anyone who wants to help with our donation efforts. Our November meeting will be Thursday, November 20 at Rock Paper Scissors at 7PM. It’s almost time to swap names for our annual holiday swap! We’ll be using Elfster again to keep it anonymous. We’ll post about it here and you’ll also receive emails from Elfster. If you have anything you’d like to address or discuss with the board, please don’t hesitate to email njmqginfo at gmail.com. In that vein, one of our members emailed after our last meeting because she was made ill by someone’s fragrance. If possible, when we get together– especially on nights where we’ll be up close and personal with one another– please refrain from wearing perfume, cologne or fragrant products. We want everyone to be able to participate and enjoy. 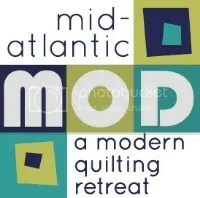 There are also links there to recent MQG webinars, including a very inclusive and inspiring one by Jacquie Gehring from last week: Modern Quilting: Know it when you see it. All you need to do is log in to the Community site.